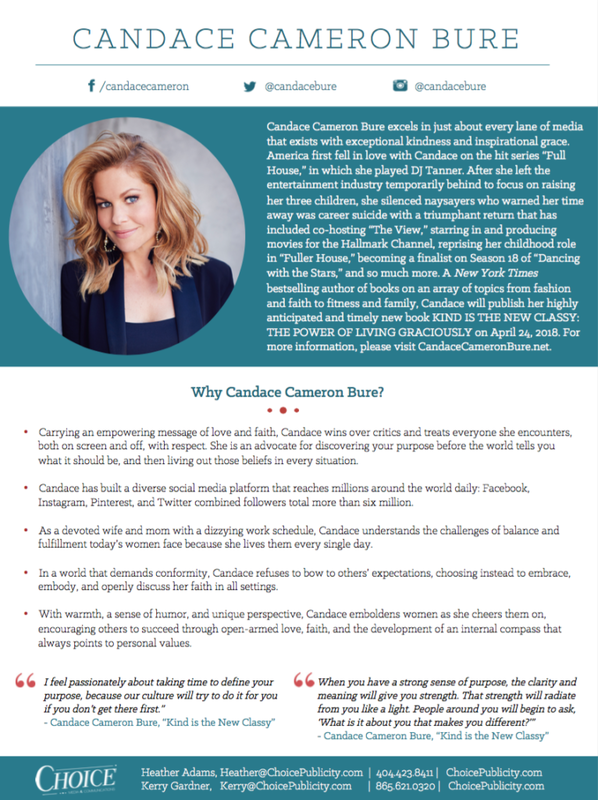 Candace Cameron Bure excels in just about every lane of media that exists with exceptional kindness and inspirational grace. America first fell in love with Candace on the hit series “Full House,” in which she played DJ Tanner. After she left the entertainment industry temporarily behind to focus on raising her three children, she silenced naysayers who warned her time away was career suicide with a triumphant return that has included co-hosting “The View,” starring in and producing movies for the Hallmark Channel, reprising her childhood role in “Fuller House,” becoming a finalist on Season 18 of “Dancing with the Stars,” and so much more. 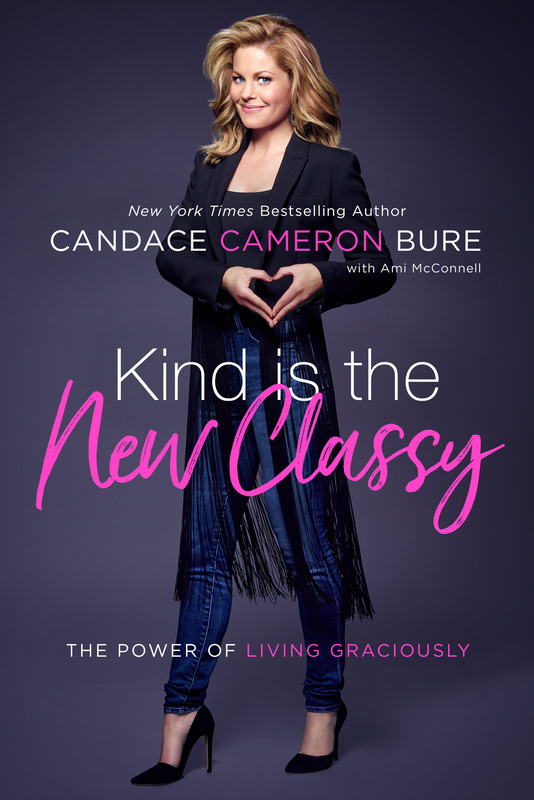 A New York Times bestselling author of books on an array of topics from fashion and faith to fitness and family, Candace will publish her highly anticipated and timely new book KIND IS THE NEW CLASSY: THE POWER OF LIVING GRACIOUSLY on April 24, 2018. For more information, please visit CandaceCameronBure.net.